Surgery is not an easy experience for anybody. After all, surgical operations can lead to a series of complications such as fatigue, pain, or potentially life-threatening blood clots. Mistakes can also be made before or even during surgery. 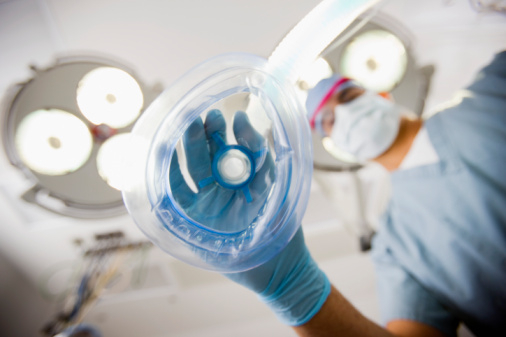 According to a new report published online in the journal Anesthesiology, medication errors occurred in about half of all operations analyzed by a group of researchers. The list of surgery mistakes included incorrect drug dosages, drug labeling errors, drug documentation mistakes, and failure to correctly treat changes in a patient’s vital signs during surgical procedures. For the study, researchers found that an adverse drug event or medication error had been documented in 124 of 277 surgeries at Harvard University-affiliated Massachusetts General Hospital (MGH) over a seven-month period between November 2013 and June 2014. Overall, there were 193 medication errors and side effect–related events from 3,675 medications given during surgery. Researchers discovered that 80% of errors and adverse drug events were thought to be preventable. Nanji suggested that the problem is even more problematic considering MGH is a national leader in patient safety, and the hospital went out of its way to study the issue to improve outcomes. The study authors explained that although drug orders for patients are checked multiple times by various healthcare providers such as nurses, pharmacists, and doctors, the fast pace of the operation does not allow for double or triple checks during the surgery. The authors also observed that one-third of errors resulted in drug-related harm or side effects to patients, and drugs were given in error five percent of the time. Two-thirds of drug errors were considered serious, and although two percent were life threatening, no one had died. The other errors in the study were said to be significant. Results of the report are being presented this month at the Anesthesiology 2015 annual meeting in San Diego, California. Mozes, A., “Medication Errors Seen in Half of All Operations in Study,” HealthDay web site, October 25, 2015; http://consumer.healthday.com/general-health-information-16/misc-surgery-news-650/medication-errors-seen-in-half-of-all-operations-in-study-704568.html. McGreevey, S., “Medication errors found in 1 out of 2 surgeries,” Harvard Gazette, October 25, 2015; http://news.harvard.edu/gazette/story/2015/10/medication-errors-found-in-1-out-of-2-surgeries/.